I’ve been a bit MIA for a while…perhaps you noticed. The last time you heard from me, I was hating on the microwave. Well, I haven’t forgotten about you. And I have missed you. But I’ve been quite busy…busy growing a baby! As you can imagine, I have been researching up a storm. No surprise, I’m all about being pregnant and raising a child in the most organic, healthy way possible. 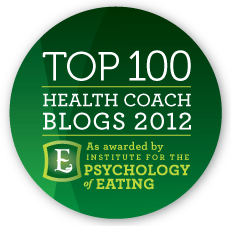 As a result, I have come across some amazing info over the past several months – info I will be sharing with you now and in future posts! But don’t stop reading if you’re not a pregnant woman, or if you’re not a dad-to-be, or if you’re not someone who knows someone who is pregnant. This is all good info for everyone. 1. Get up and move. Don’t sit for too long in one place. 3. Get plenty of rest. 5. Get plenty of fiber. 7. Eat whole grains, not white stuff. 9. Embrace changes in your body. Okay, that’s all old news – good stuff – but let’s get to some NEW information. Organic, unrefined, virgin. This has been my go-to moisturizer. Pregnant skin gets very dry and itchy and I’ve been slathering coconut oil on my face, arms, and hands and it really makes a huge difference. So, if you’re the dry skin type, you don’t need any fancy, stinky, chemical-laden creams. You just need some high-quality coconut oil. Every pregnancy is different and mine has been, how shall we say…not so much in the food department? I have had no strange cravings. In fact, I have had serious food aversion for months now. No joke. There are just a few things that actually taste good to me, and one of them is chocolate. While I try not to eat too much, as it does have caffeine and sugar, sometimes we all just need something a little sweet. These days, I’m really enjoying Theo, which is organic, fair trade, and soy-free and available at local specialty markets and grocers like Whole Foods. 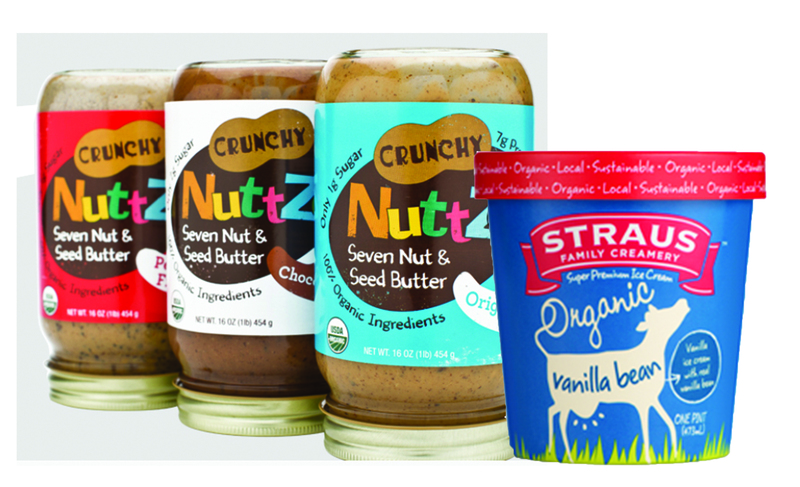 Another way I enjoy chocolate is with Chocolate Nuttzo, which is an organic nut and seed butter with chocolate…and it’s delicious (they also have other nut and seed butters without chocolate). If I’m going to indulge, I always try to make it healthier – with organic and wholesome ingredients…and by eating in moderation! 1) Chia Seeds – 1 tbsp will give you 8% of your daily calcium intake. 2 tbsps now find their way into my day. 2) Greens – Greens are the absolute best thing to eat, for calcium and other vitamins and minerals. We could all eat more of them. A half bag of Trader Joe’s Power to the Greens or Spinach gives me another 8% of my daily intake. I make sure to get at least one serving of one of these each day. Green juice gives me yet another 8% per serving. I drink two servings of Columbia Gorge Organic Just Greens every day. Now, fresh juice is better, and whole veggies are best, but I like that this brand has several greens only (no fruit), almost no sugar, and is pasteurized, which is safest for pregnant women and anyone else with a compromised immune system. I don’t have time to juice every day…sometimes you just have to be practical. 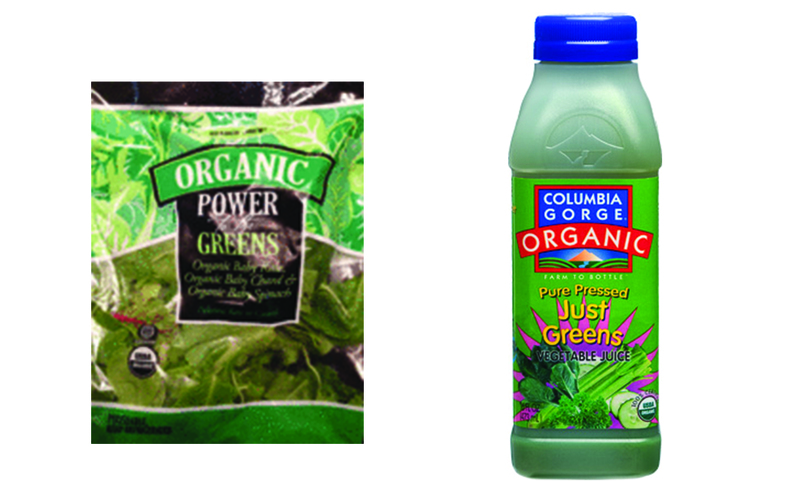 If you can juice organic greens regularly, or get organic green juice from a local, reliable source, do it. Also, if you’re pregnant, DO NOT, I repeat, DO NOT substitute a meal with green juice. Now is not the time to be cleansing. Add green juice into your day along with everything else you are eating. And DO NOT drink unpasteurized juice unless it was made fresh at home or somewhere reliable (and drink immediately) – it could have harmful bacteria and that’s too risky. 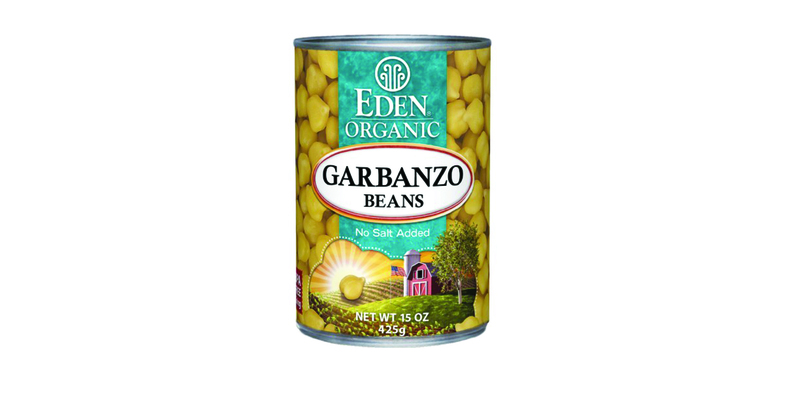 3) Garbanzo Beans – Add ’em t0 a salad, pasta or quinoa, or mush ’em up in guacamole, or make some hummus. Whatever. We all know what to do with these guys. But did we all know that a serving (1/2 cup) gives us 6% of our daily calcium needs (plus a good dose of fiber and protein)? Choose Eden Organics for BPA-free cans. 4) Sparkling Water – Pellegrino and Perrier both have 4% of daily calcium per serving. Big bottles have about 3 servings…12% of your calcium! Extra bonus is it’s in glass, not plastic. Ditch the soda and drink one of these, with or without some fresh fruit added. I choose Perrier first, as it is sodium-free. 5) Sesame Seeds – These little powerhouses top people’s list of favorite seed. And they are tops in the calcium department. 1 tbsp delivers 8% of your daily calcium needs. **Now, one thing of concern just recently came to light. Salmonella can be found in spices and seasonings. This includes sesame seeds. Best thing to do is cook them instead of adding them straight into your food. I now sauté my sesame seeds with a little coconut oil before adding them in – and I’d never know the difference. Read more about this HERE (and if you want to get interesting articles like this on a regular basis, follow me on Twitter 🙂 ). With our immunities down, us pregnant gals and other immunocompromised folks are more susceptible to infection. And an infection is the last thing I want. So I make sure to wash all of my produce really well. But the rest of you should do this, too. 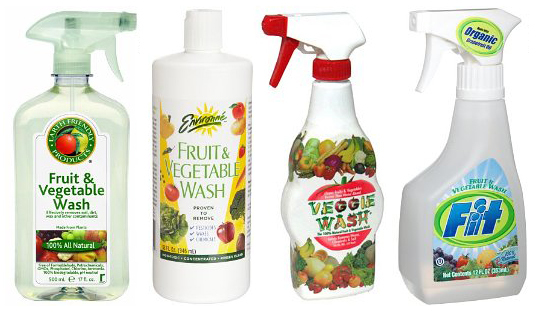 Trader Joe’s, Whole Foods, and other markets sell produce wash, which gets the dirt, waxes, and pesticide residue off your food. Think I’m being extreme? Then think for just a moment about where your food has been. Have you ever driven down the highway and either seen it growing two feet away (love those freeway-adjacent farms), or on the back of a truck, open, traveling next to you, getting a fine coat of dirt and exhaust? And have you ever seen the Porta Potties on those farms? Let’s face it, Porta Potties don’t really allow for a good hand-washing in between food handling. So, do yourself a favor and wash your food well. Bottom line is, you don’t know where it’s been and what it’s wearing. Tired? Rest. Hungry? Eat. Just listen to your body. Really listen. It will tell you what it really needs. Don’t eat just to eat or fuel yourself with caffeine and sugar because you’re tired. Get back to basics and treat your body right…whether you’ve got someone growing in there or not. Ah, dairy. This subject is hairy. And you’ll probably want to be a bit chary. Okay, fair enough. Not terribly scientific, but I agree on points 1, 2, and 3! Whole populations around the world and quite a large number of people in this country are lactose intolerant. What does it say that so many of us are unable to eat dairy? Maybe it means we don’t need it. We don’t even drink our own milk past childhood. Milk contains carbohydrates, fat, and protein all in one so that babies get the three essential macronutrients from their one food source. Milk makes babies grow. But we’re all grown up. So again, maybe we don’t need it. Kinda makes you stop and think, right? Wait, what?! Yeah. We have a higher consumption of dairy in this country than in most countries around the world. And we also have the highest rate of osteoporosis. That doesn’t add up. Isn’t dairy supposed to protect us from osteoporosis because it gives us calcium to build strong and healthy bones? Seems people in other countries where dairy consumption is very low, are not only finding enough calcium from other sources, they’re not experiencing bone loss the way we are. Some great non-dairy sources of calcium? This is where dairy gets really scary (sorry! that’s the last rhyme!). Milk contains a lot of hormones that aren’t so good for us. You’ve heard of rBST or rBGH, right? It’s the genetically engineered growth hormone (made by Monsanto – need I say more?) they give to cows to stimulate milk production. This is in conventional dairy and has been linked to various types of cancer. All of these hormones look to be contributing to certain types cancer. Prostate cancer is related to higher consumption of dairy products, as is ovarian cancer, although the link is less clear than with prostate. Endometrial cancer is a hormone-related cancer, so there’s concern for dairy hormones there, too. Who wants bad skin? ‘Nuff said. So do I need to take supplements? Actually, high calcium supplementation has been shown to be related to a higher risk of heart attacks and kidney stones, as well as a higher risk of hip fractures. Basically, the calcium from supplements is different from calcium you consume in foods – it’s a big hit of the mineral at once, instead of a gradual dose throughout the day with various meals and snacks. Calcium also needs to be taken in tandem with magnesium and vitamin D, so just taking a calcium supplement without these will not facilitate absorption. And calcium that doesn’t get absorbed floats around and ends up where it shouldn’t be, causing heart disease, among other health problems. Not good. My recommendation is to really try to get most of your calcium from your food and proceed with caution with supplements. Take small amounts at a time, if you need to, and always take it with magnesium and vitamin D.
I’ve found the evidence against dairy pretty compelling. But of course, the Dairy Industry makes sure our government recommends it as an essential part of a healthy diet. Food remains the best way to get calcium, but it doesn’t have to be dairy. If you want to eliminate it completely, or almost completely, that’s great. If not, limit your intake to 1-2 servings per day. Moderation is the key here. My post “Getting Down to Basics” covered a lot of info in one place. One of my readers asked for me to elaborate on why soda is bad for you. I want to emphasize here that I will absolutely go into more depth on any topic in a separate post. All you have to do is ask! Soda. Whether diet or regular, soda is a beverage of chemicals. There is no nutritional value to drinking soda. We know regular soda contains chemicals and sugar. And we know sugar is bad for us (see my post on sugar). But what about diet soda? Diet sodas contain the following: aspartame, artificial colors and preservatives, and phosphoric acid. Aspartame is one nasty artificial sweetener, folks. The easy explanation here is that “artificial” just isn’t food. But beyond that, why is it so bad? In short, aspartame is linked to approximately 92 different health problems. I won’t go into it all here, but you might be interested to know that in addition to nearly any problem you can think of – anxiety, depression, insomnia, eye damage…the list goes on – aspartame is linked to weight gain. That’s right. Diet food is causing weight gain because the body doesn’t know how to process all of the fake ingredients, like aspartame and other artificial colors, flavors, and preservatives. As a result, your body stores the unknown ingredients as toxins in fat cells to protect you. Fat, as much as we hate it, is there to protect us. So lose the toxins, lose the weight. Eat real food that your body knows how to digest. Aspartame is also known to cause unstable blood sugar and sweet cravings, which also lead to weight gain. You can read more about aspartame from Dr. Mercola, Dr. Hull, and The Health Ranger. Phosphoric acid is a chemical that is added to keep your soda bubbly but is linked to lower bone density. When we consume phosphoric acid, calcium is released from your bones and teeth to balance the levels of phosphorus. When the body excretes phosphoric acid, the calcium goes right along with it. 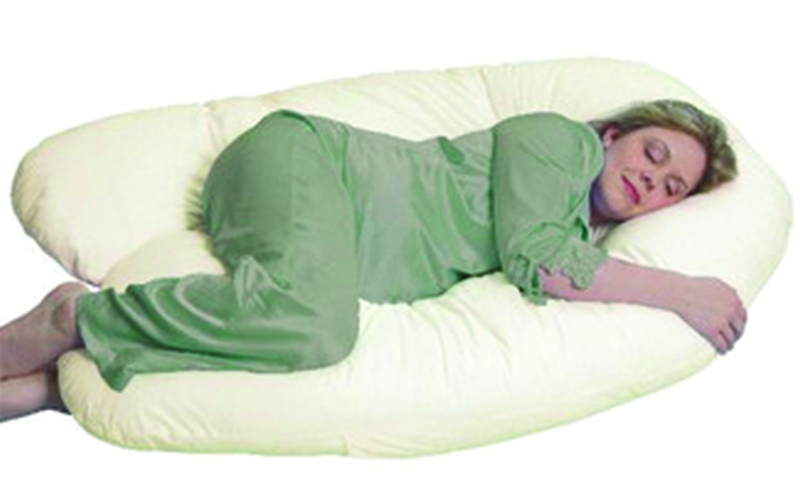 This contributes to our risk for osteoporosis. Did you know that most of the world does not consume dairy products and their rates of osteoporosis are much lower than ours? This means that despite our high consumption of dairy, which is a great source of calcium, we’re still not protected. The Health Ranger has some good info on this one, too. So, in summary, soda, whether diet or regular, is best avoided as much as possible. Water should be your drink of choice. Look for a post about water coming soon! Always feel free to send me questions. Health Coach Jillian is here to help!